The freedom and flexibility provided by campervan travel is second-to-none. Live the dream and explore this amazing country at your own pace whilst always having your creature comforts within easy reach. 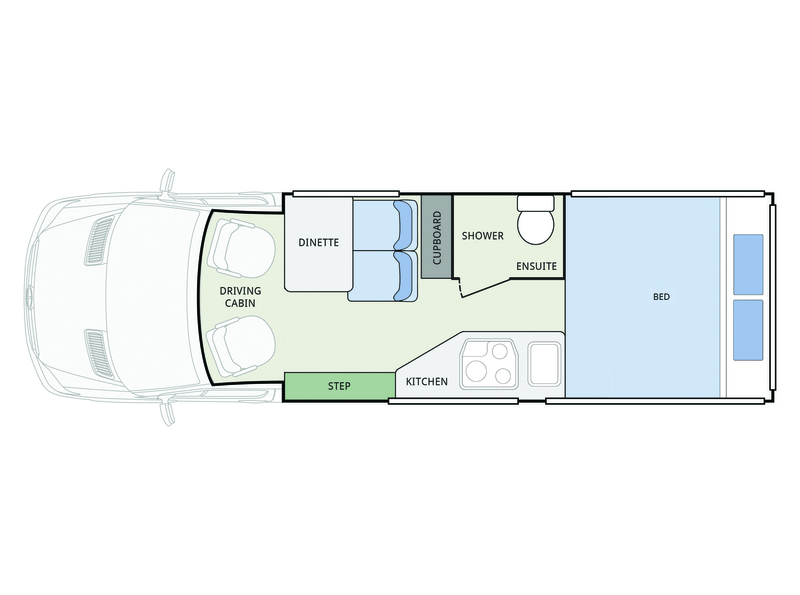 The Bondi is designed to the highest standards and features a layout that maximises space, and is finished with soft furnishings and neutral tones to make you feel right at home. Your needs are always top-of-mind as we seek to make your travel as easy as possible – that’s why we include ample storage space, comfortable living spaces and top-of-the-range appliances into every vehicle. And of course all of this sit upon a reliable frame custom-built to withstand our tough Aussie conditions.